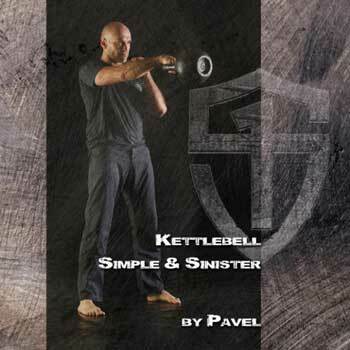 Discussion in 'Kettlebell' started by Ray Robinson, Nov 8, 2018. Well, here’s a stupid injury. I’m on S&S (which I love; right now for swings I’m at 28KG, 30, 30, 30, 28 and for get-ups at 28, 30, 28, 28, 28). Anyway, during a get-up recently I had my one knee raised and one on the floor, preparing to stand up. I put too much pressure on the ball of my left foot on the knee that was on the floor (I was pushing off of my toes), and really hurt it. I’m now just doing get-ups to the knee until the injury heals. The cool thing is that I can still work on S&S while I wait for my foot to recover. I don’t know if anybody else does this, but I try to make an incremental progression in weight every five workouts. So I’ll do five workouts, time myself according to Pavel’s standards, and if I’m satisfied I’ll up the weight on one of my reps. I’ve been able to alternate between the get-up and the swing. It seems to work for me, although there have been times when I timed myself, didn’t like where I was, so continued with my current weights. Anyway, just wanted to mention that. And mention my stupid -ball-of-my-foot injury. I like to do something similair. Getting swings under 10 minutes for me is enough to gently up the weight. Now that i am revistiting s&s ill force myself to spent more time per bell.